High molecular weight cytokeratins are expressed in a variety of normal and neoplastic epithelial tissues (1). 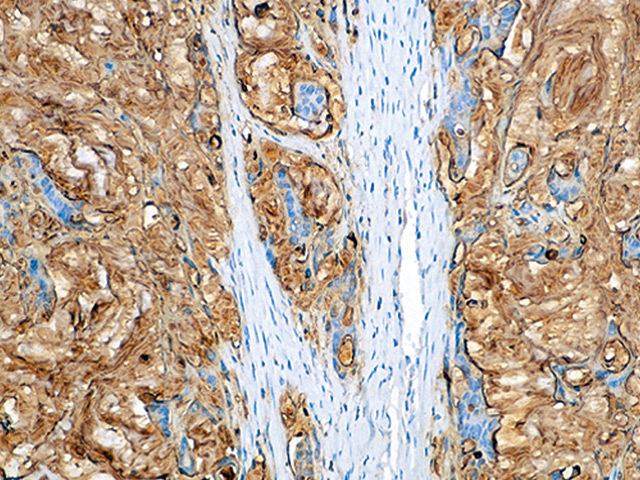 In prostate, CK HMW [34βE12] has been shown to be a useful marker of basal cells of normal glands and prostatic intraepithelial neoplasia (PIN), a precursor lesion to prostatic adenocarcinoma; whereas invasive prostatic adenocarcinoma typically lacks a basal cell layer (2-4). 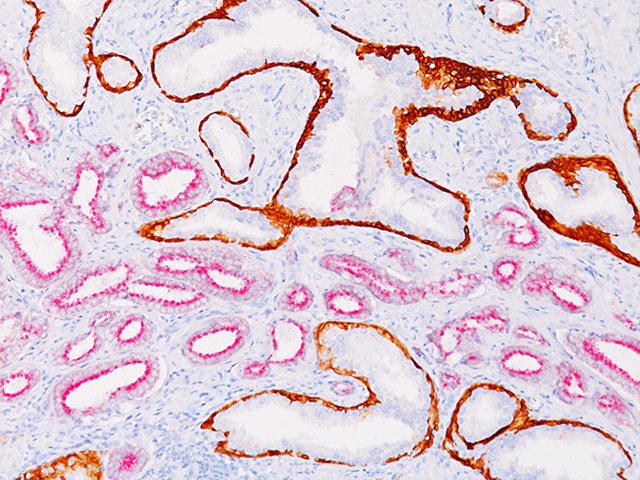 p63, a homolog of the tumor suppressor p53, has been identified in proliferating basal cells in the epithelial layers of a variety of tissues, including epidermis, cervix, urothelium and prostate (5). 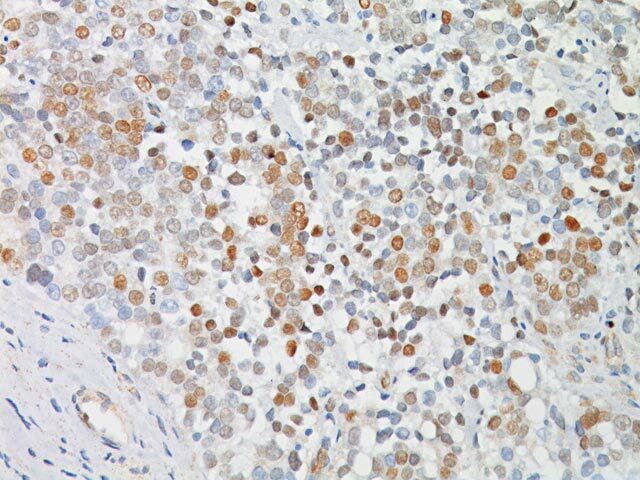 p63 was detected in nuclei of the basal epithelium in normal prostate glands; however, it was not expressed in malignant tumors of the prostate (6). α-Methylacyl coenzyme A racemase (AMACR), also known as P504S, is a peroxisomal and mitochondrial enzyme that plays a role in bile acid synthesis and β-oxidation of branched chain fatty acids (7). AMACR was initially identified from a cDNA library as a gene that is overexpressed in human prostate cancer; with little or no expression in normal prostate (8,9). 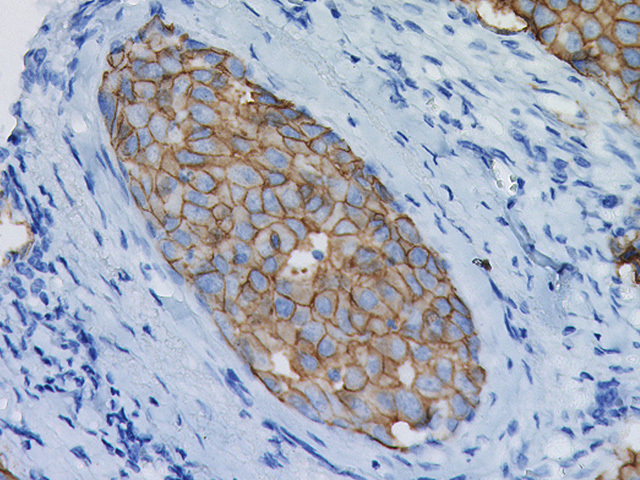 In immunohistochemistry, AMACR has been shown to be a specific marker of prostatic adenocarcinoma (8-11). Additionally, prostate glands involved in PIN have been found to express AMACR, whereas AMACR was nearly undetectable in benign glands (11,12). Studies have shown that combinations of CK HMW [34βE12], p63, and/or AMACR may be useful in the evaluation of normal prostate glands, PIN and prostatic adenocarcinoma (13,14). U.S. Patent 8,603,765 and patents pending. 1. Moll R, et al. The catalog of human cytokeratins: patterns of expression in normal epithelia, tumors and cultures cells. Cell. 1982 Nov; 31(1):11-24. 2. Bostwick DG, Qian J. High-grade prostatic intraepithelial neoplasia. Mod Pathol. 2004 Mar; 17(3):360-79. 3. Humphrey PA. Diagnosis of adenocarcinoma in prostate needle biopsy tissue. J Clin Pathol. 2007 Jan; 60(1):35-42. 4. Shah RB, et al. Comparison of the basal cell-specific markers, 34betaE12 and p63, in the diagnosis of prostate cancer. Am J Surg Pathol. 2002 Sep; 26(9):1161-8. 5. Yang A, et al. p63, a p53 homolog at 3q27–29, encodes multiple products with transactivating, death-inducing, and dominant-negative activities. Mol Cell. 1998 Sep; 2(3):305-16. 6. Signoretti S, et al. p63 is a prostate basal cell marker and is required for prostate development. Am J Pathol. 2000 Dec; 157(6):1769-75. 7. Ferdinandusse S, et al. Subcellular localization and physiological role of alphamethylacyl- CoA racemase. J Lipid Res. 2000 Nov; 41(11):1890-6. 8. Xu J, et al. Identification of differentially expressed genes in human prostate cancer using subtraction and microarray. Cancer Res. 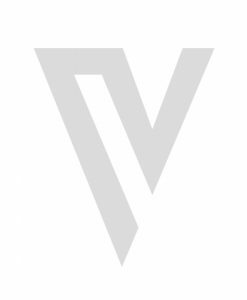 2000 Mar 15; 60(6):1677-82. 9. Rubin MA, et al. alpha-Methylacyl coenzyme A racemase as a tissue biomarker for prostate cancer. JAMA. 2002 Apr 3; 287(13):1662-70. 10. Luo J, et al. Alpha-methylacyl-CoA racemase: a new molecular marker for prostate cancer. Cancer Res. 2002 Apr 15; 62(8):2220-6. 11. Zhou M, et al. Alpha-Methylacyl-CoA racemase: a novel tumor marker overexpressed in several human cancers and their precursor lesions. Am J Surg Pathol. 2002 Jul; 26(7):926-31. 12. Wu CL, et al. Analysis of alpha-methylacyl-CoA racemase (P504S) expression in high-grade prostatic intraepithelial neoplasia. Hum Pathol. 2004 Aug; 35(8):1008-13. 13. Shah RB, et al. Usefulness of basal cell cocktail (34betaE12 + p63) in the diagnosis of atypical prostate glandular proliferations. Am J Clin Pathol. 2004 Oct; 122(4):517 -23. 14. Sung MT, et al. 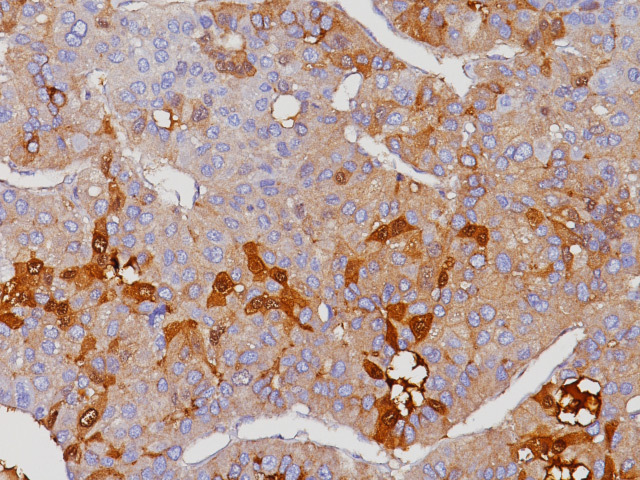 Alpha-methylacyl-CoA racemase (P504S)/34betaE12/p63 triple cocktail stain in prostatic adenocarcinoma after hormonal therapy. Hum Pathol. 2007 Feb; 38(2):332-41.